Save time and effort spent on trying to come up with gimmicks or special offers just to improve earnings when you can do so easily just by presenting one more offer to your customers! Waste no time in cashing in further on a willing buyer who has already showed his/her trust in you through the first purchase! 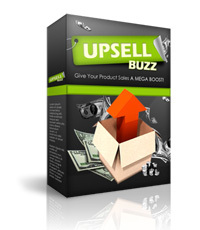 Increase your sales made per customer which in turn explodes your profits naturally!